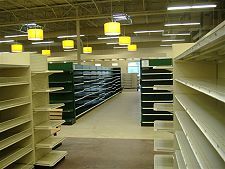 Retail and Fixture Installation for new or existing retail stores. "The library for multiple agencies was impacted within this one move and we are pleased to say without incident! Our valuable equipment and irreplaceable data were handled with a very high regard. Your staffs' ability to handle some of our unexpected requests were handled with grace and good humor." Whether we receive it at the store or at our location, it can be handled. Ask us to provide maintenance, perform a service call or conduct a roll-out. Our project managers will work with you and your manufacturers. Our installations associates are ready.